Due to its costs, diagnostic benefits and safety, echocardiography is one of the most commonly used cardiovascular diagnostic imaging tools. While cardiac imaging can be a matter of life or death for many, the American Society of Echocardiography (ASE) believes that some of these tests may be ordered due to a physician’s perceived lack of risk to the patient (no radiation exposure, etc.) without regard to the guidelines for giving the “right test at the right time.” The ASE Foundation’s (ASEF) grant on behalf of ASE was intended to address the widespread and growing use of echocardiography by promulgating ASE’s Choosing Wisely recommendations through an app that physicians can download to their smartphones and tablets. The Echo AUC app includes echocardiography appropriate-use criteria as well as a number of other Choosing Wisely society lists. ASE promoted the app through a number of channels, including newsletter articles, press releases, social media and information at its annual meeting. ASE promoted the Echo AUC app to other medical organizations, including U.S. state-based echocardiography societies. The American Society of Echocardiography is a nonprofit organization founded in 1975, and is the largest membership association in the world representing the field of cardiovascular ultrasound. ASEF is ASE’s charitable arm, helping to assure the viability and visibility of cardiovascular ultrasound. The Foundation was created to provide support for initiatives such as training scholarships and scientific research, which are not supported by membership dues. 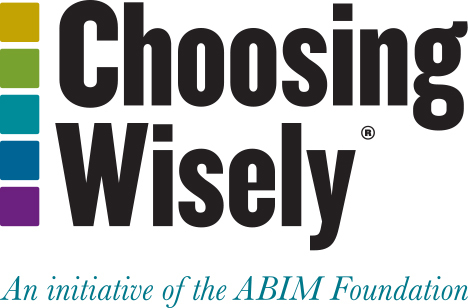 Get more information on its Choosing Wisely efforts.